Image Flex Pro Soft White (Ultimate Print Soft 4030 Matt). The Image Flex Pro is a heat-sealable, printable PU textile transfer film (opaque white, 80 micron) suitable for light and dark textiles. It offers a high print resolution with a semi-matt finish and has a pleasant soft textile touch. Due to a special top coat, the film offers an excellent washing-resistance. The Image Pro Flex is compatible with all current printers using ECO-solvent, solvent and latex inks. Due to a newly developed, non-adhesive PET film liner, even very small letters and motifs can be easily cut by all current CAD/CAM plotters after the printing process. 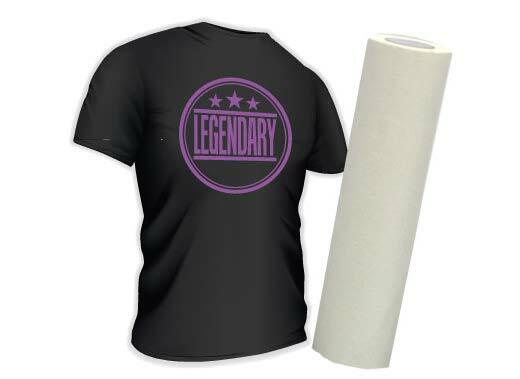 The transfer film is used for motifs and logos on sport, leisure and work wear. Nylon and textiles with a hydrophobic impregnation are not suitable for heat transfer. Washability temperature is 80° C standard and to be washed inside out. We recommend evaluation on test material – Due to the various influences which occur from production and transfer of plotter letterings, consistency of the carrier materials and also washing and cleaning conditions, product liability can only cover the unprocessed material. Order your Inks and Media before 3pm and receive them the next day! 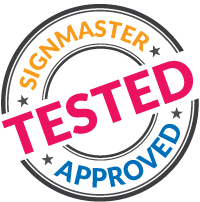 Signmaster Systems Limited is the registered trading name. Registered in England No. 4921232. VAT reg No. 696162600 all rights reserved. All prices exclude VAT and delivery. Finance subject to status.